Is Your Home Priced Right? How do Buyers Win in this CRAZY Sellers Market? 3 mortgage tricks every homeowner should know about. Neighborhood Lodge 3,275 Sf, Bunk House 3,660 Sf With 2,196 Sf Finished Basement. Courtesy of RE/MAX Associates Realty 614-899-2600, Robert J Wheaton 614-620-1155. CARLISLE LEGACY WHITETAIL FIVE STAR HUNTING RESORTInside its fenced nearly 300 Acre Paradise awaits a ‘TURNKEY’ Whitetail Trophy Deer Farm, complete with 100+ Deer bred and raised here by monster stags, i.e. ‘Boone & Crocket’ record producers; ‘XFACTOR’ and his son ‘XCARGO’. Seemingly out of Architectural Digest’s ‘Rustic Elegance’, Brick Veneer Masonry, Standing Seam Roofs, Highest Quality Hardwoods, Granites and Tiles throughout. The Lodge’s massive Great Room with soaring ceiling, T&G Pine Walls, River Rock Fireplace, acres of Granite, handcrafted Cabinets and S/S Appliances, enormous Walk-in Pantry, Full Bath and Laundry Room. Upstairs Owners Quarters with Large Kitchen, Great Room, brick Fireplace, 3 Bedrooms and Full Bath. Agent related to Seller. TAXIDERMY DOES NOT CONVEY. Subdiv/Cmplx/Comm: Lodge 3,275 SF, Bunk House 3,660 SF with 2,196 SF Finished Basement. District: RIVER VIEW LSD 1603 COS CO. 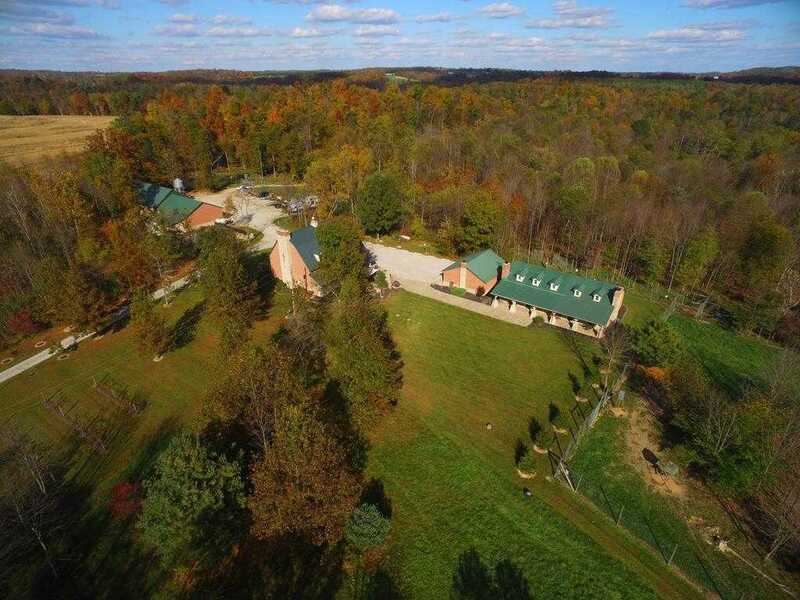 Please, send me more information on this property: MLS# 216001032 – $3,214,907 – 21462 County Road 18, Walhonding, OH 43843. I would like to schedule a private showing for this property: MLS# 216001032 – $3,214,907 – 21462 County Road 18, Walhonding, OH 43843. © 2019 Achievers Real Estate. All Rights Reserved. Real Estate Website Design powered by Home Junction.